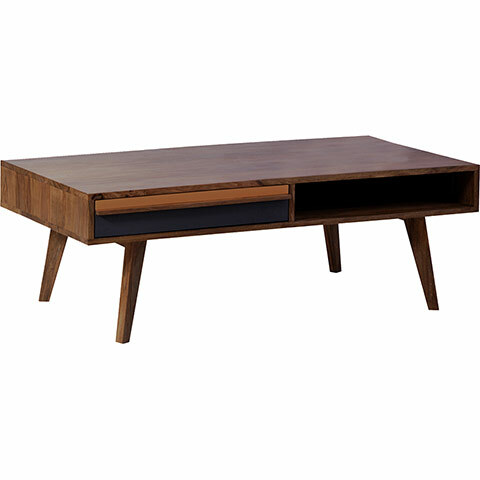 The Felicity Coffee Table features a retro, mid-Century inspired design with a modern edge. 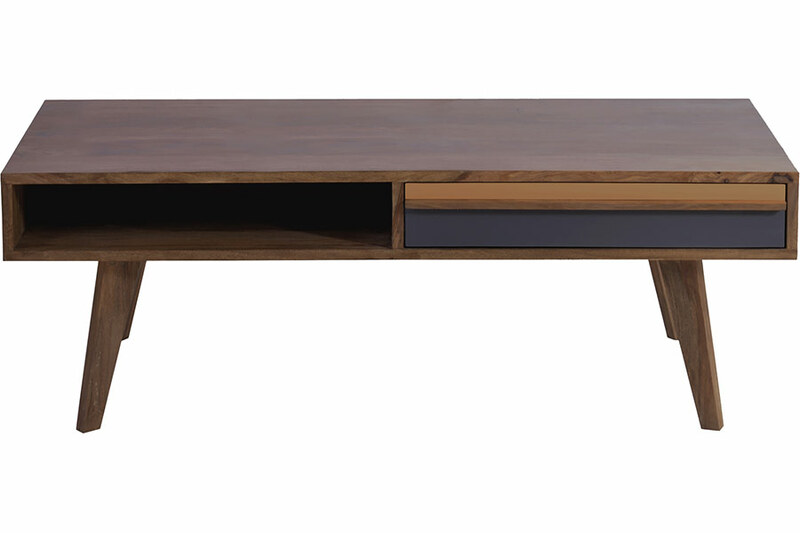 This coffee table boasts one open shelf and a storage drawer with a two-tone color scheme. 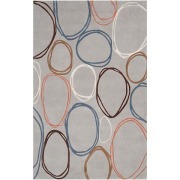 The gray drawer with orange accent blends with Felicity's wood top and trim to give the coffee table a distinctive look. 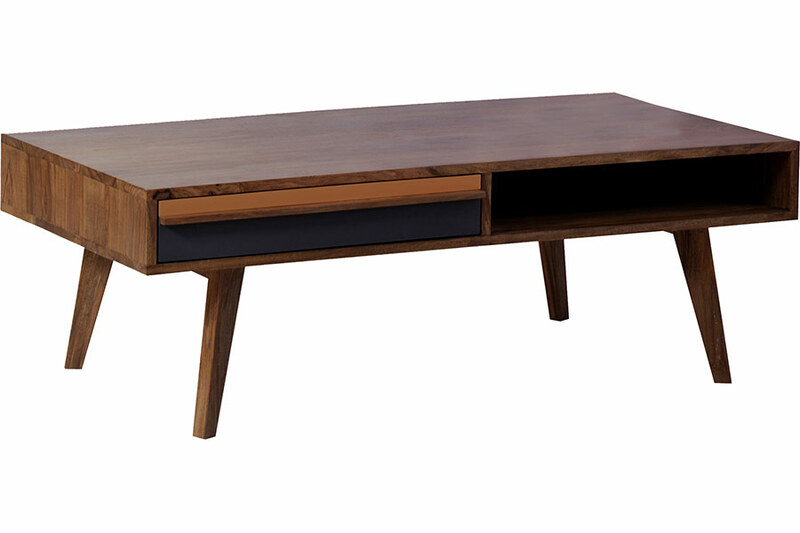 Crafted from solid Sheesam wood, Felicity is the perfect piecefor your family room, living room or even study. Made in India.